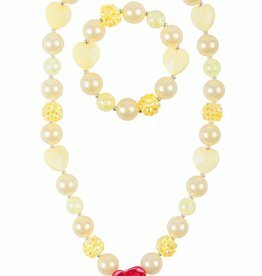 These are not your traditional pearls! 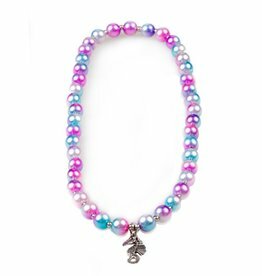 This necklace bracelet set features a string of fun matte pearlized rose pink beads, iridescent chunky beads, and is all pulled together with some classic white pearl beads. Perfect colour combinations of yellow, green and pink! 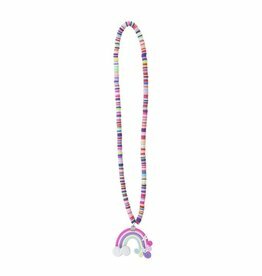 Classy beads form this necklace with beautiful matching bracelet. 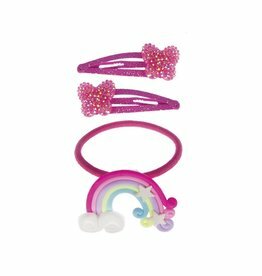 Both pieces included for the ultimate wardrobe accessory! 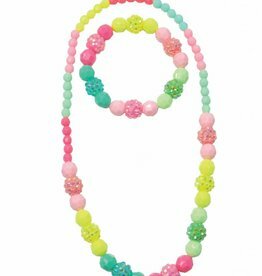 Be the belle of the ball in this necklace and bracelet set. 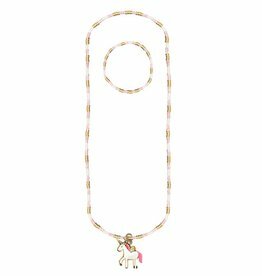 Soft yellow and gold beads are accented with a red rose bead on the necklace. This set is full of sparkle and glam. 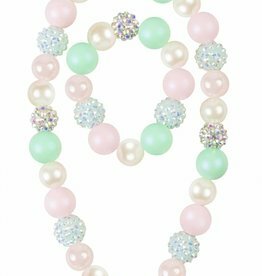 Mint green, pink and pearl beads are the perfect colours to accent every outfit.